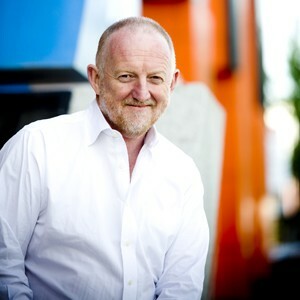 Former Chair of the Green Building Council of Australia, Tony Arnel, has been presented with a World Green Building Council (WorldGBC) Chairman’s Award for 2014. The award was announced 8 August 2014 at the WorldGBC Congress in São Paulo, Brazil. The WorldGBC Chairman, Bruce Kerswill said “Tony’s contribution to the growth of the WorldGBC had been outstanding. “The WorldGBC has emerged as a globally influential champion of sustainable building. Tony’s guidance as a director and chairman laid the foundations for the WorldGBC’s success today. He won wide support for his global work, particularly from developing countries, and helped establish the Asia Pacific Network”. Arnel, who last month called for the depoliticisation of climate change in Australia, said he was humbled to be recognised. “It was a great team effort during those years – and a lot of hard work – but very satisfying to make a contribution to the WorldGBC and to what has become a global movement”. Daniel Grollo, Chair of the Green Building Council of Australia, observes that Arnel’s award reflected Australia’s internationally recognised green leadership. “Tony was chair of the Green Building Council of Australia for five years, and at the same time was chair of the WorldGBC, and was instrumental to its growth,” he said. “This award recognises the role Australia has played in promoting sustainable building worldwide”. Arnel was also the WorldGBC’s chair between 2008-2011. During this time, the Council experienced extraordinary growth in member countries which now exceed 100. This period also saw the establishment of regional green building council networks, with GBCA supporting the development of the Asia Pacific GBC Network, and the establishment of an international policy task group. Also awarded in São Paulo were the former Executive Vice Minister with the Chinese Government’s Ministry of Housing and Urban Development, Qiu Bao Xing, who made energy-efficient building a focus of his government’s strategy to mitigate greenhouse emissions, and Alejandro Aravena, a Chilean architect and leader in sustainable social housing.